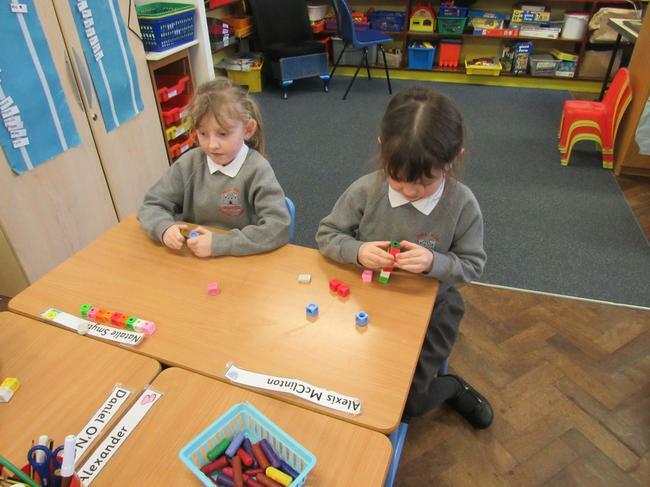 We did some problem-solving today. 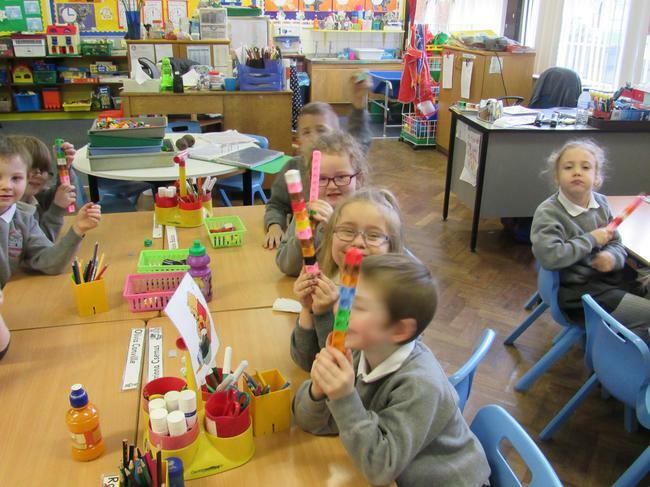 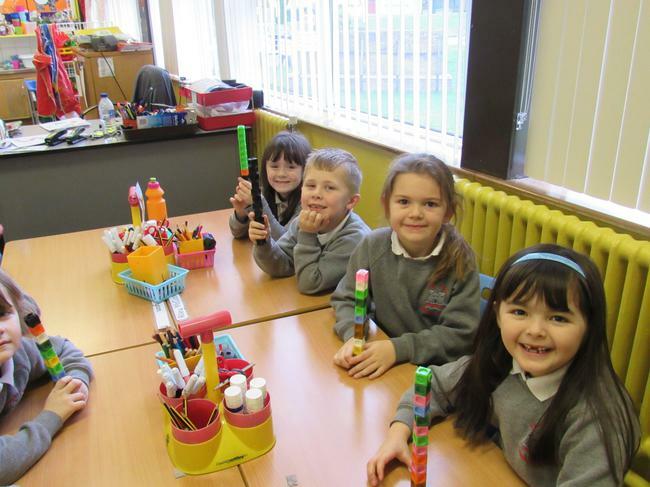 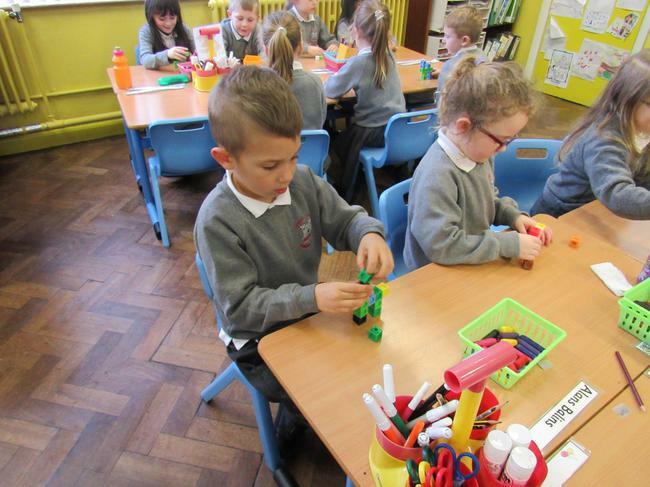 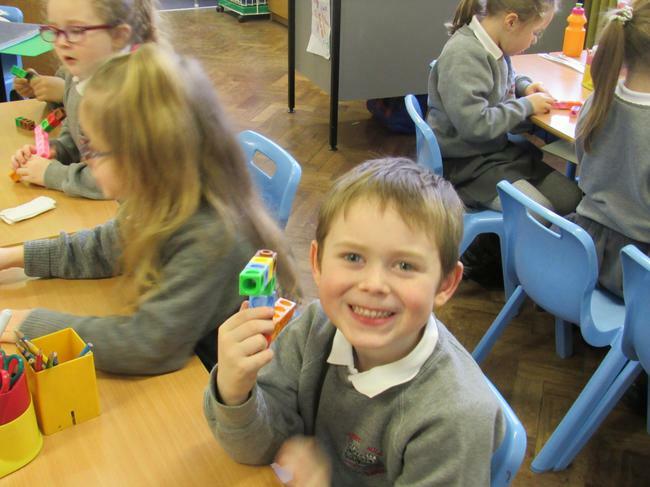 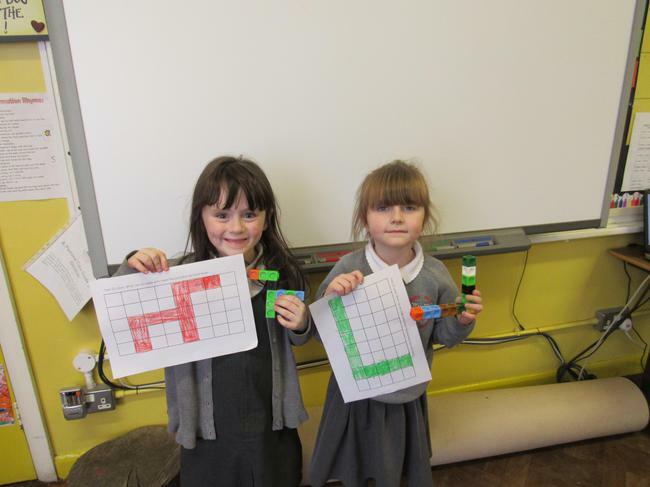 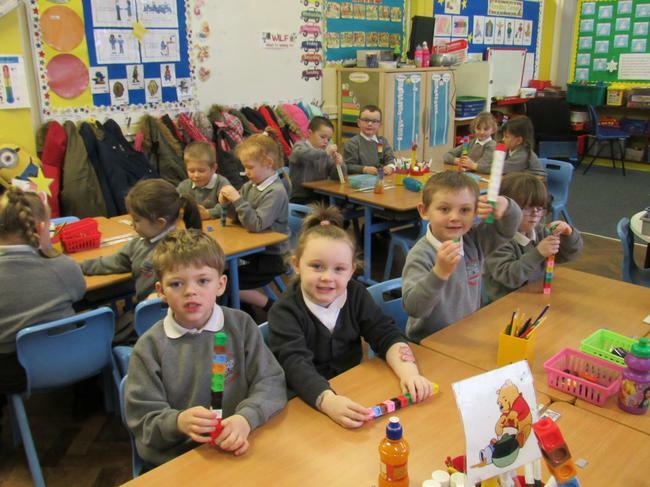 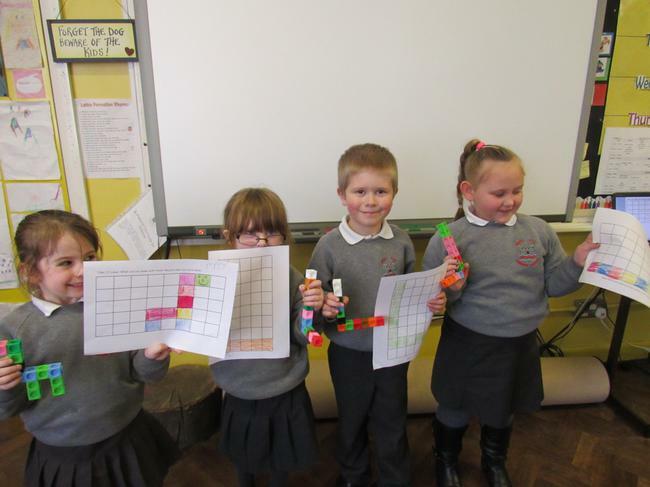 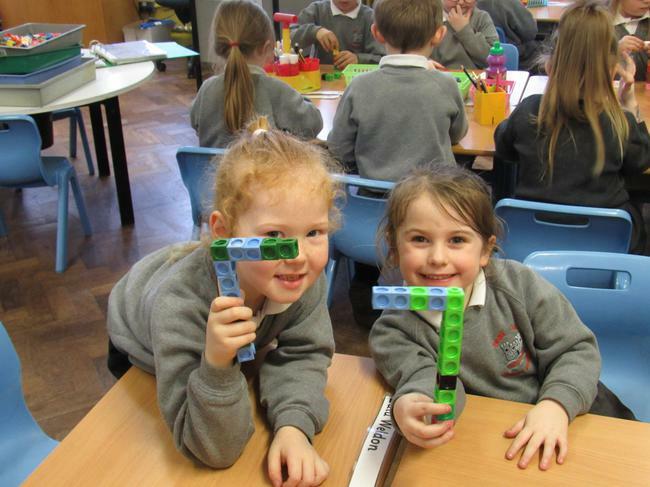 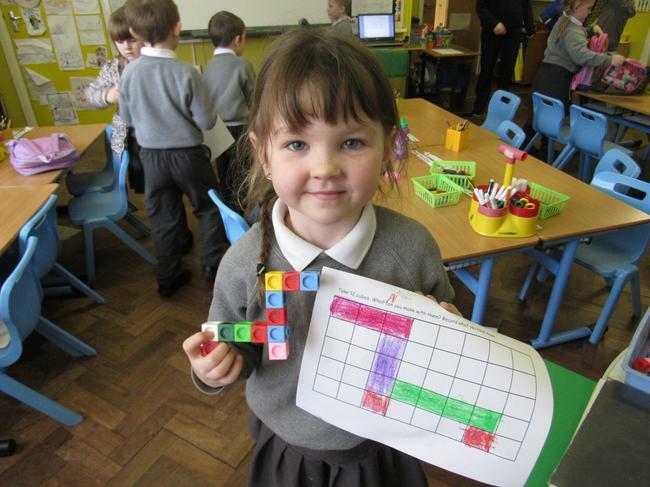 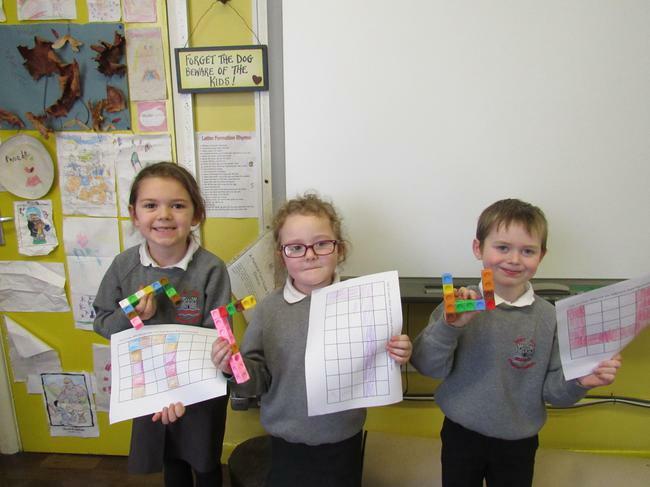 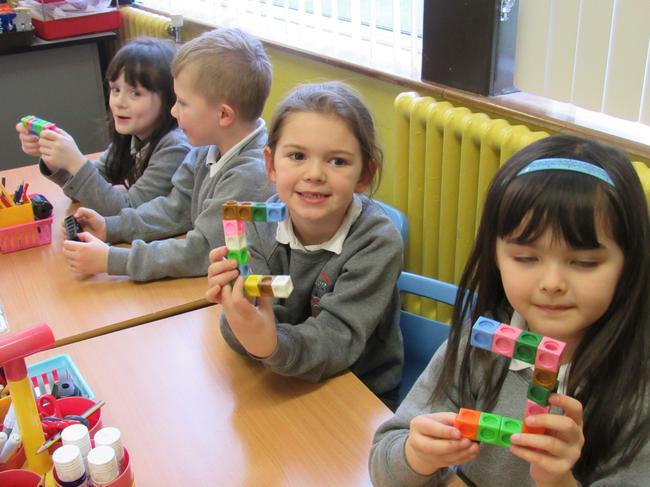 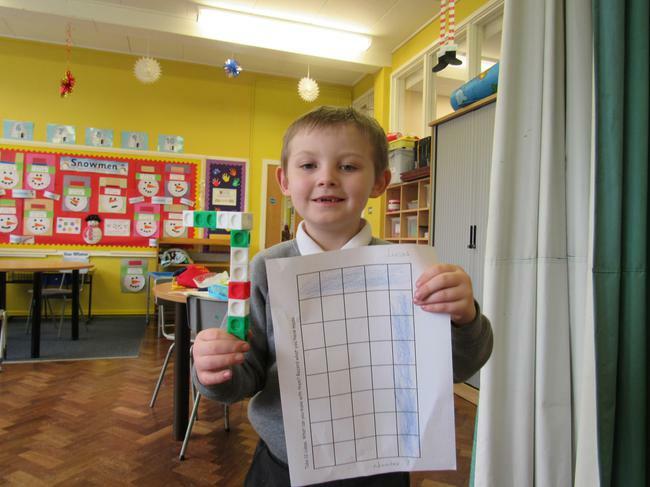 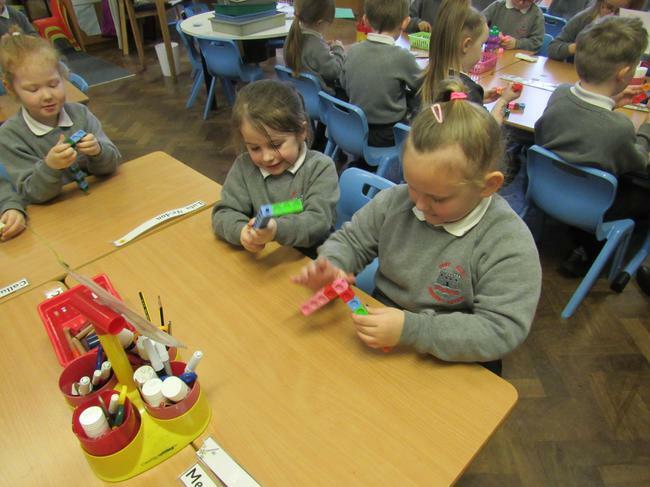 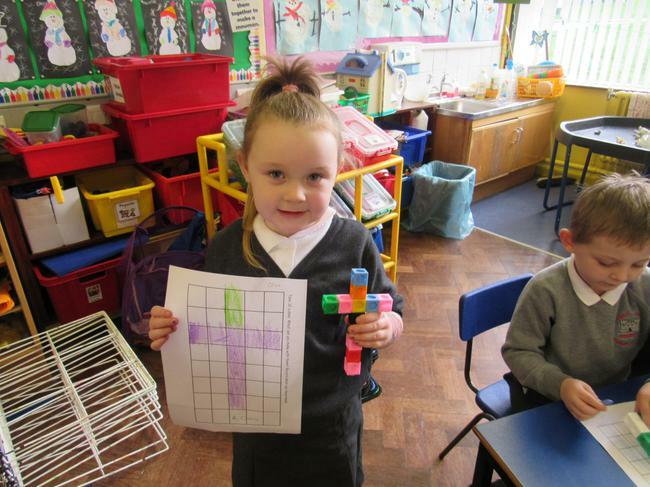 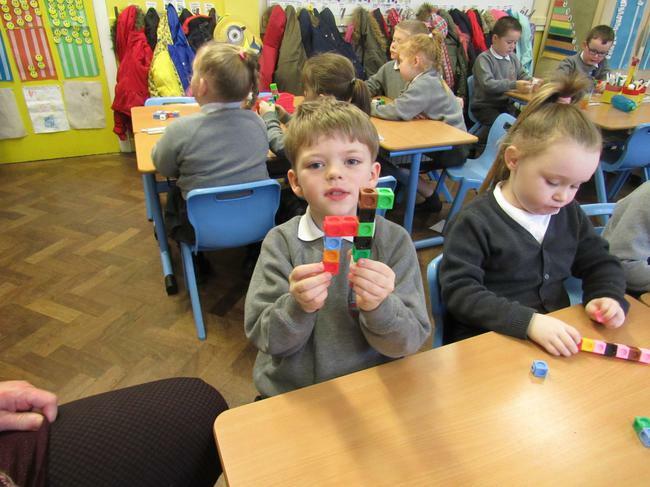 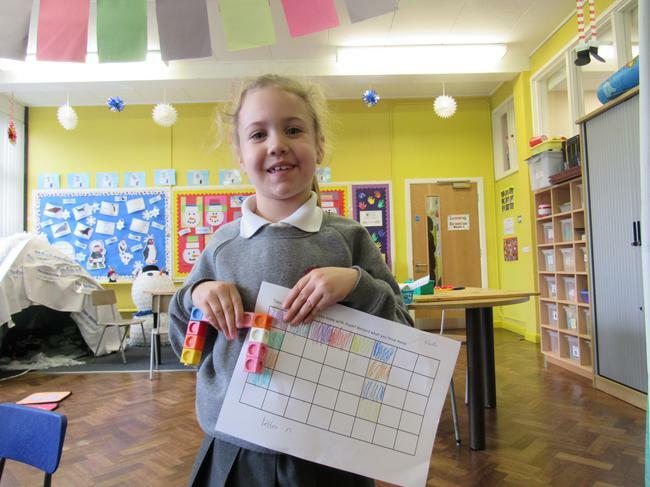 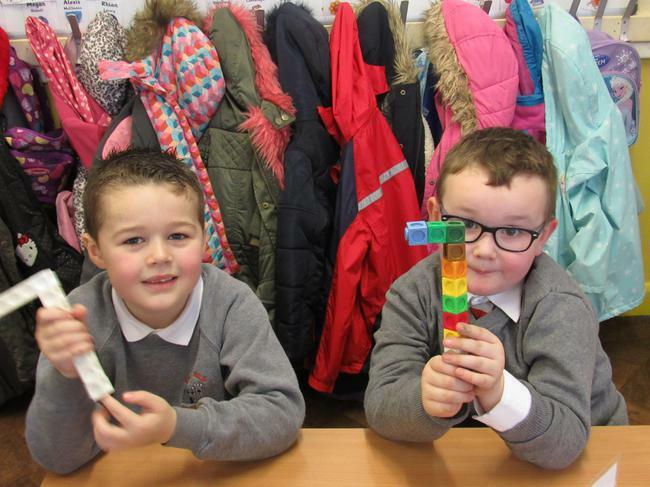 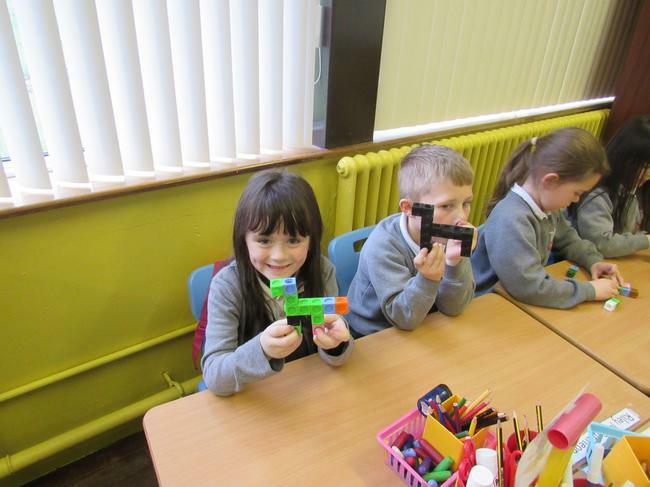 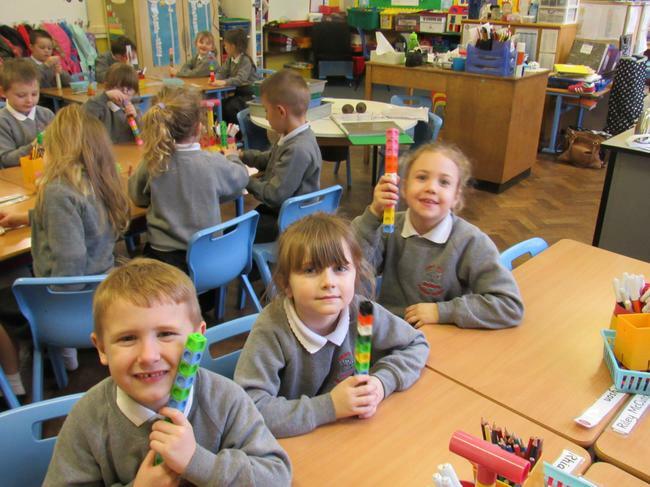 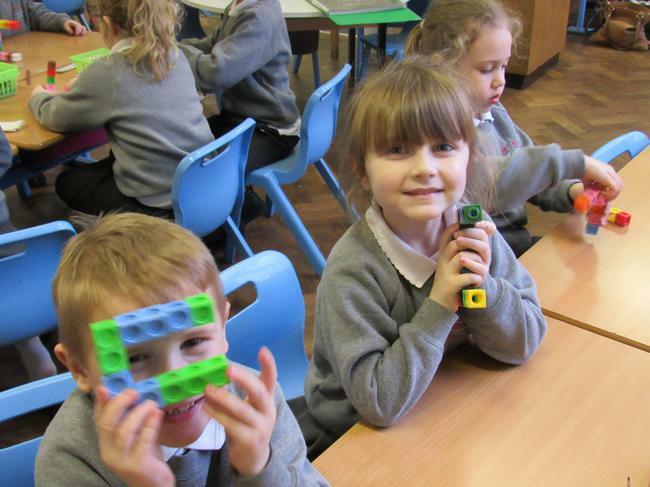 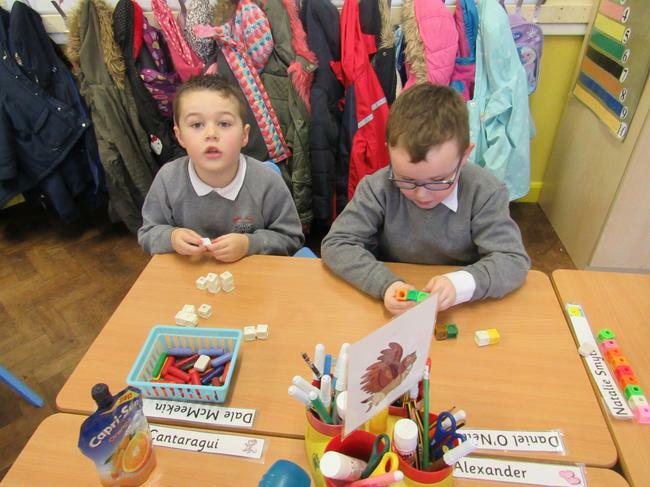 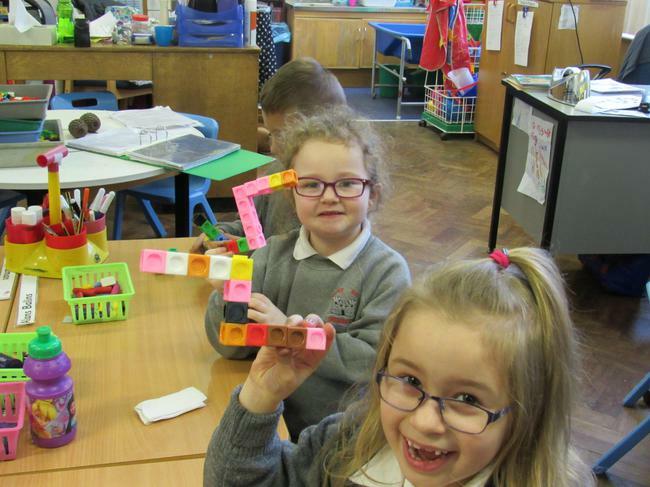 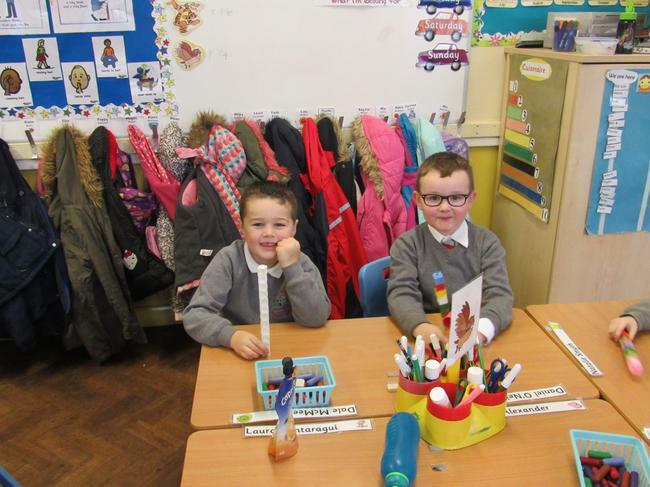 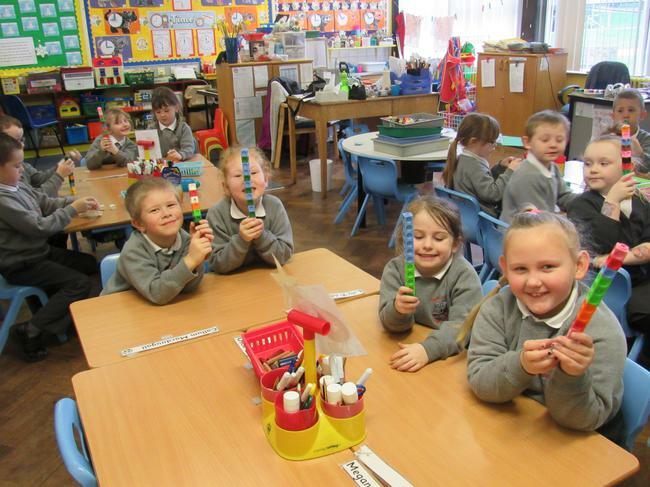 Miss Tipping gave everyone 12 cubes and asked us to make something using the cubes. 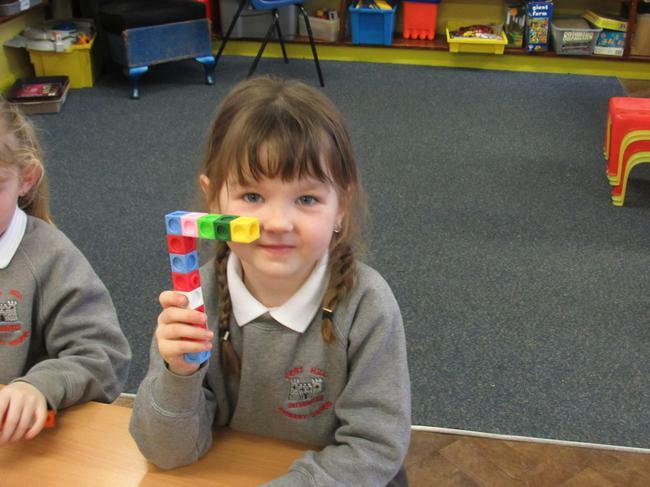 First of all we made some objects together. 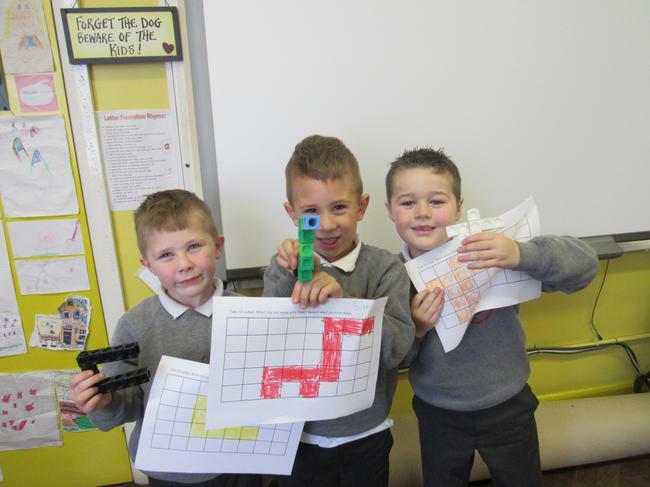 We made the letter c, the number 7 and a little dog. 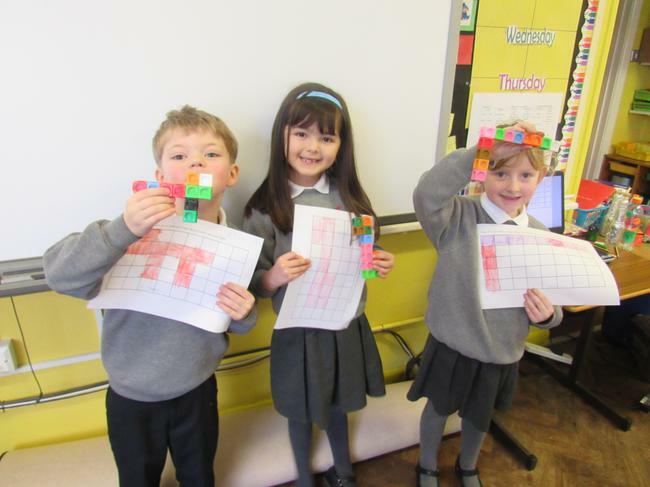 Then we had to think for ourselves and make something with the cubes. 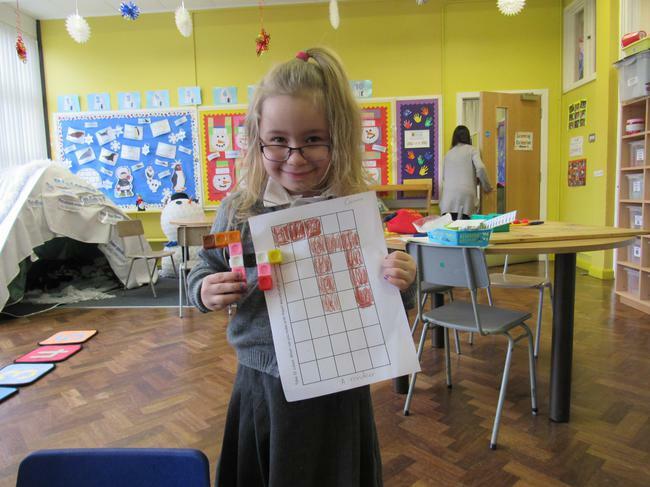 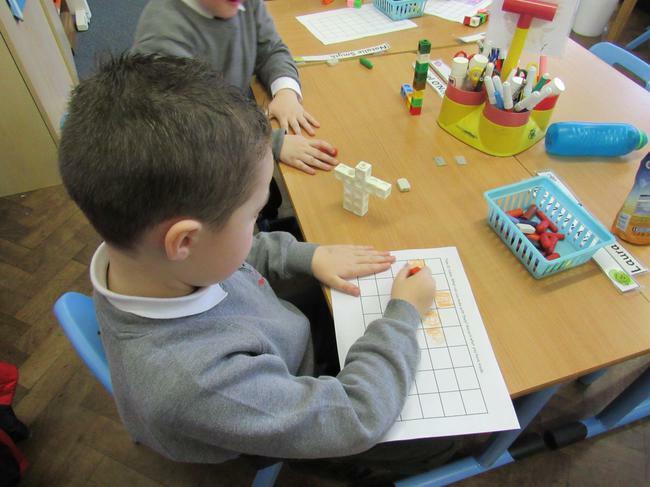 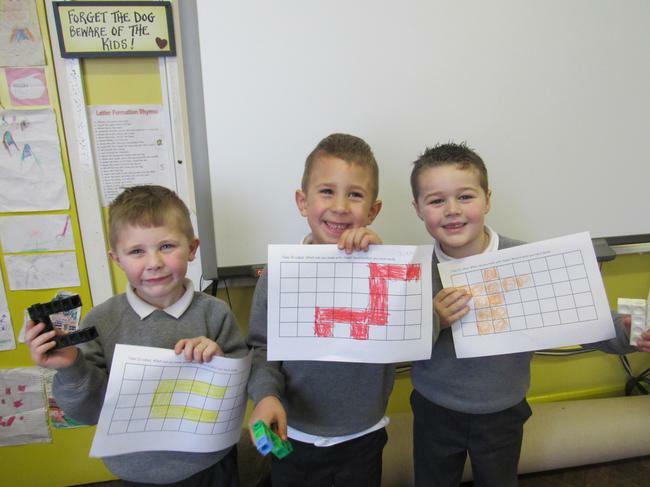 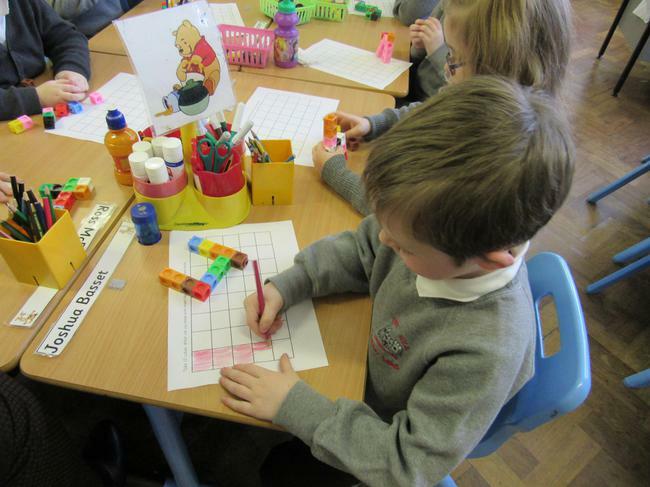 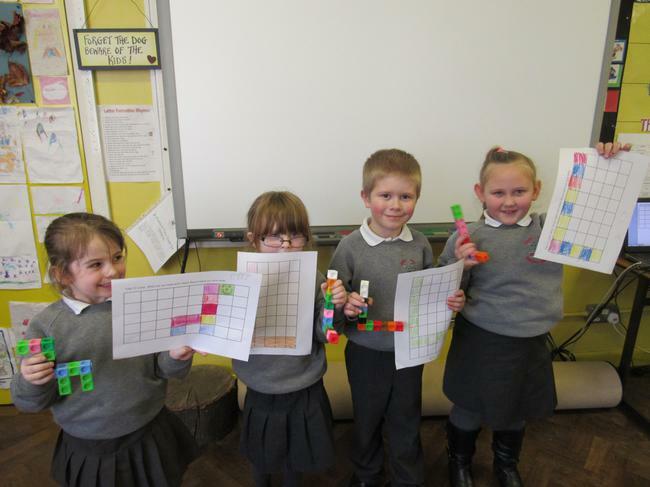 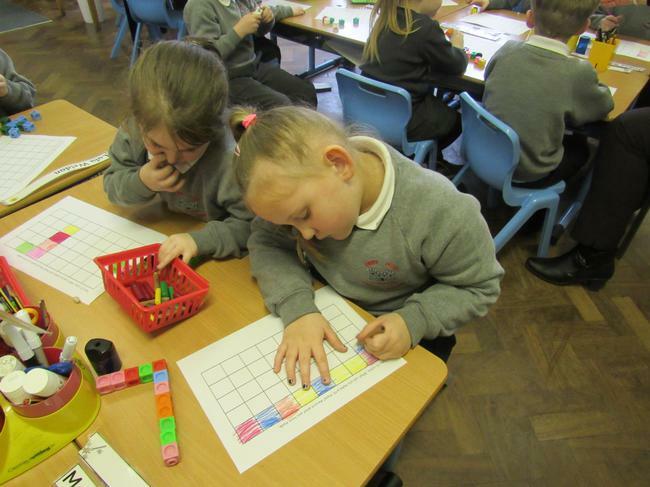 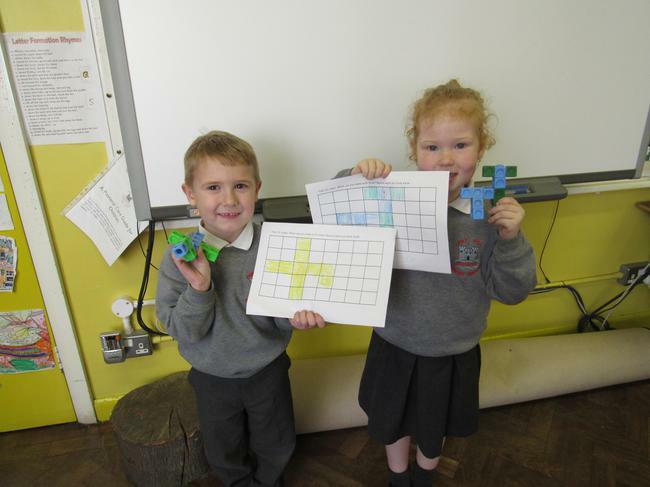 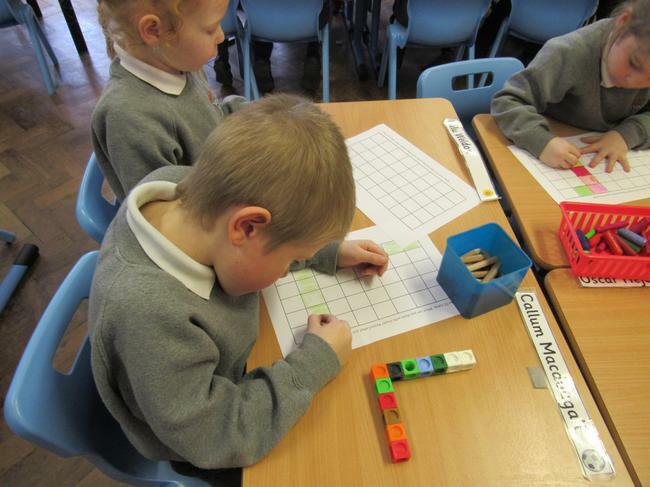 When we had made our object we then had to record what we had made by colouring one square for each cube we used. 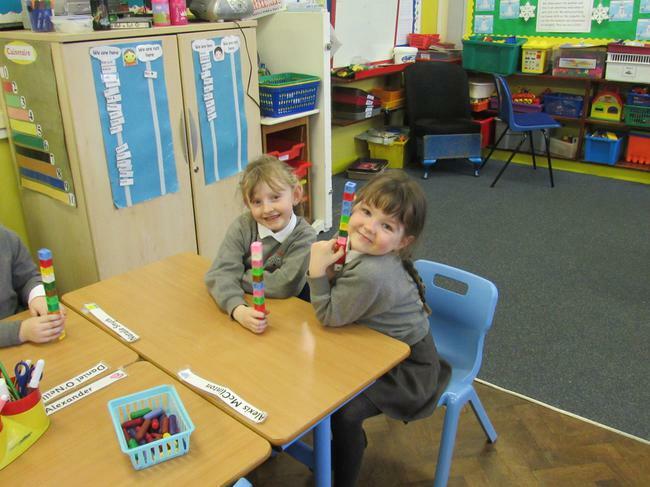 Take a look at our hard work.